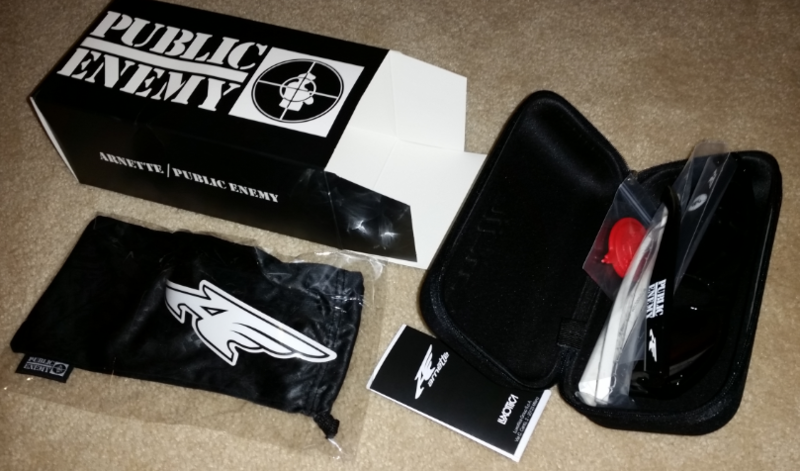 What I didn’t realize while it was happening in the 1980s and 90s, and even up until this year, was how successfully Public Enemy branded themselves in an era when “branding” wasn’t a buzzword or something that everyone was trying to build, bereft of skill as they may be. Even today, if you blast Public Enemy in your office at what is considered more than a reasonable volume, it will likely be received as a “statement” of some kind, just like when you hear a commercial for the latest U2 album and know there must be a new Apple product out. 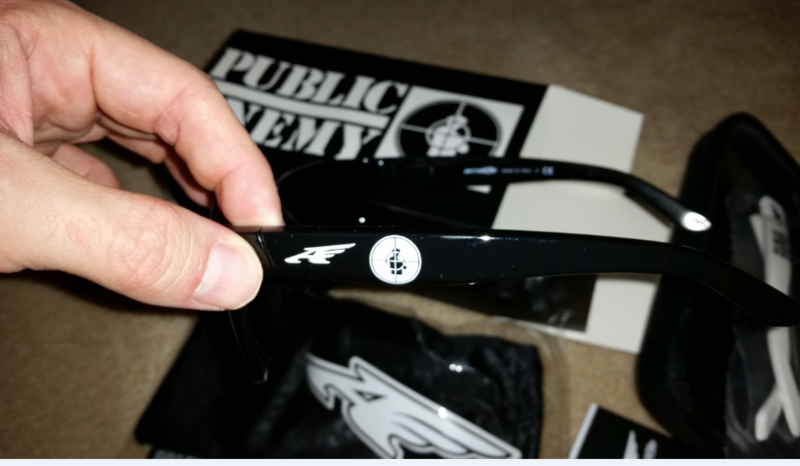 Built on the classic look of Arnette’s Witch Doctor frame, the glasses come with interchangeable black and white arms that feature the logo on one side and the classic “Public Enemy” name on the other. The interchangeable arms and their coolness cannot be understated. When I was feeling a little lower key, yet still crisp, smooth and badass, I rocked the black arms. But when I felt vibrant, outgoing and flashy, the white arms absolutely killed it. From the minute I pulled the shades out of the box, the quality was apparent. Sturdy and perfectly weighted, even though the arms are removable, you are not sacrificing quality for vanity or flexibility. The arms are solid and there is a special key you have to use to take them off. But how do these glasses function “in the field?” I needed a suitable testing environment to really gauge the impact of these glasses. So, I took them with me on my trip to the town that Bud Light built, “Whatever, USA” and wore them for the entire weekend.